To celebrate 4:20, tomorrow Munky King will releasing the third colorway of Luke Chueh’s The Prisoner resin figure! Based on Luke Chueh’s original painting, The Prisoner ponders captivity in its many forms—physical, mental, or in some cases, pharmaceutical. 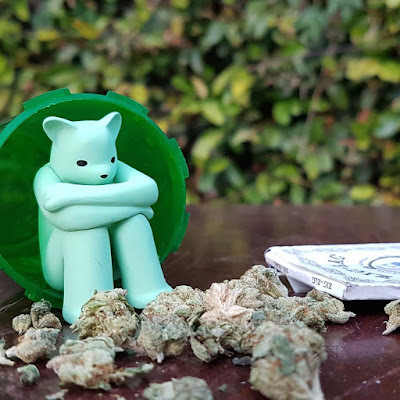 The Kuma Kush Edition The Prisoner features a 1.5” green Bear in a medicinal marijuana pill bottle. Along with standard green figure, they’ve also made a super rare flocked green variant to replicate the fuzzy quality of marijuana. 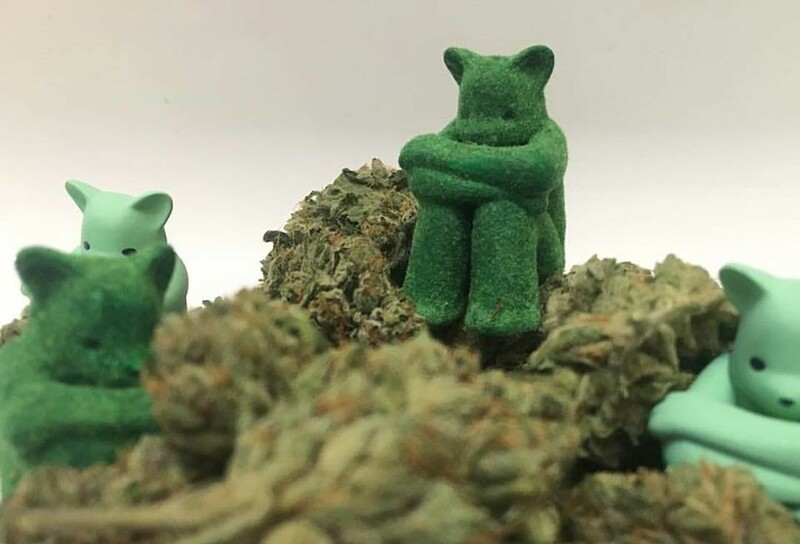 The Prisoner Kuma Kush Edition Resin Figure by Luke Chueh is limited to 300 pieces, while the Flocked Variant is limited to just 30 pieces. These variants will be randomly dispersed throughout the run. This medical marijuana colorway will go on sale at 4:20pm PST on Thursday, April 20th (aka 4/20), at the Munky King online store.